Ahhhhhhh Paul turned into a parking meter!!!! John: "Hey! What was in that drink??" George: "Well don't look at me, I didn't tell him to drink it." 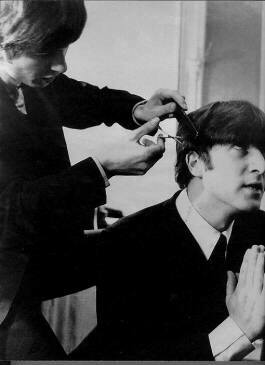 Ringo: "What? Don't worry fellas, I drank it too and nothing is happening to me...uh oh...ummm...ahhhh...what's happening to me head!? I'm turning into a Vulcan!!!!" 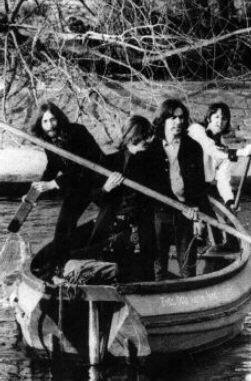 Paul: "Uh guys, are you sure this is safe? I mean don't people normally use ropes for jump rope?" John: "Nonsense! This is just new fangled-way, you aren't used to it yet." Just a little sprinkle of fairy dust and it's off to Neverland...SWOOSH! 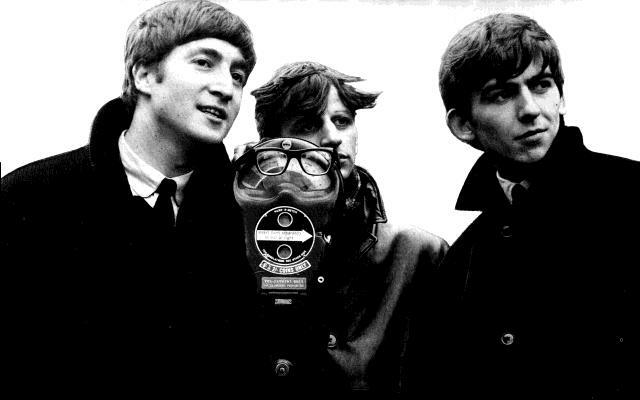 John: "Hey, where's George gone?" Ringo: "I dunno, he was here when we took off." 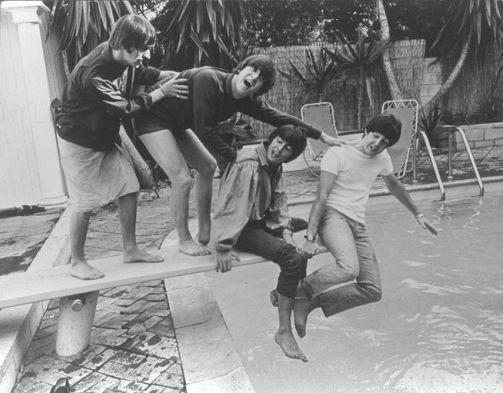 Paul: "I can touch my toe, I think I can, I think I can!" 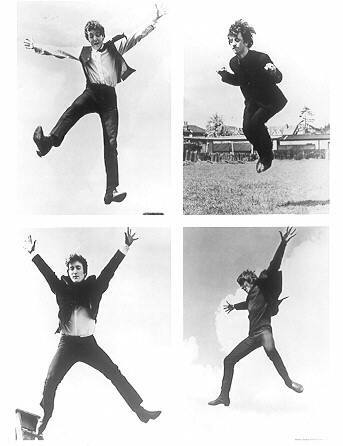 Ringo: "Weeeeeee! Look mummy I'm turning into a bunny, whoopie!" George: "Parachute!!! Ahhh that's what I forgot! Wait, if I think there is a parachute then there will be...it's all in the mind..."
This picture speaks for itself, lol! 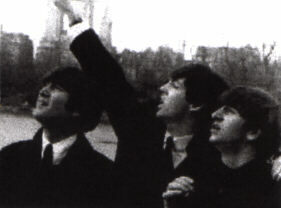 Ringo: "Look, up in the sky!" 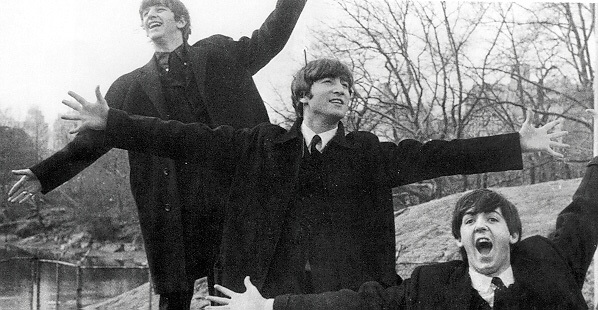 John: "It's a bird, it's a plane!" John: "Oh that's where he went." 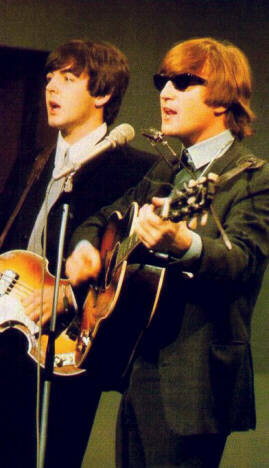 Paul: "Awww John, quit trying to impersonate Bob Dylan. Your going about it all wrong." John: "Oh I am not though, I've got the acoustic and the harmonica rack...Man that guy is gear, I would do anything for his autograph!!!!" 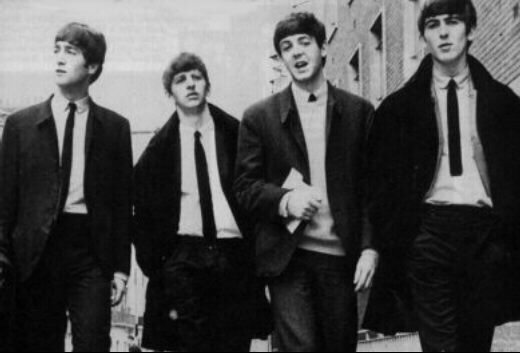 Paul, John, and Ringo: "Row, row, row your boat gently down the stream..."
Paul, John, and Ringo: "Merrily, merrily, merrily, merrily..."
Paul, John, and Ringo: "Life is but a dream!" 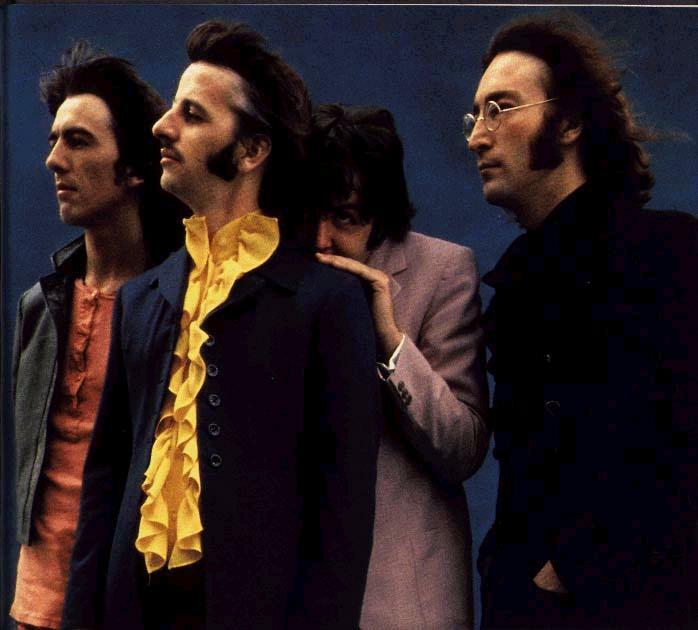 Ringo: "What the heck is Paul doing back there?" John: "He fears the wind." George: "Oh. Hmmm, he's a bright one...hiding behind the smallest...smart." John: "Well you are, face the facts son." John nudges George: "Ehhh it's middle aged boy wonder!" Paul: "Ack! This is the last time I take diving lessons from John!" John: "Wuahahahaha! I smell Lennon/Lennon songs...just push him a little further!" George: "A little lower John, this massage is really helping that knot in my shoulder." 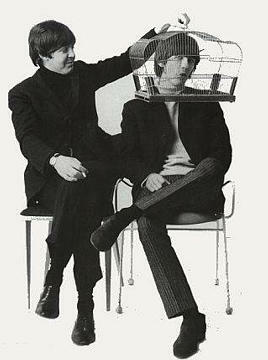 Paul sings: "George-bird singing in the dead of night..."